There were several big-ticket power projects that I managed when I was the CEO of National Power Corporation (NAPOCOR). Some of the notable ones are the Leyte-Cebu and Leyte-Luzon Submarine cable projects, San Roque Hydro plant, Masinloc Coal-Fired power plant, Pagbilao, Ilijan and Sual plants and Leyte Geothermal power plant. All these projects were developed and executed simultaneously, generating close to 4,600 megawatts. It’s also worthy to emphasize that these projects were completed at a time when NAPOCOR was already drained of its financial resources. After all, the projects involved a lot of civil, electrical, and mechanical engineering; we had to do a lot of financial engineering. Given the magnitude of these projects, I have always admitted that I grew old when I was young. However, with that “ageing” process I also gained wisdom on how to handle these complex projects and motivate project teams to work well together. I had the luxury of having over 10,000 people working on all these projects plus the day-to-day management of running the power plants. Plus, I had the good fortune of having a DOE Secretary, Sonny Viray, who provided not only policy directions, but sometimes direct technical advice to our project teams. Finally, I had a direct line to President Fidel Ramos who gave NAPOCOR all the support he could muster to make project execution smoother. Of course, I am applying whatever lessons I gained from years of heading a government institution now that I am in the private sector. While there are similarities, there are also wide differences. For one, in NAPOCOR we were bound by very strict bidding rules. This discouraged creativity. As a result, we were faced with congressional censure in government, again dampening enthusiasm to be more effective. The most important difference is that if we lose in a project, we lose our jobs – there was no Civil Service Commission to protect my job. I have been asked quite a number of times how I manage to lead or oversee simultaneous power projects in the private sector. My answer is simple: use the proper tools for proper project management. There is no guarantee that the project will not fail, but we work to make that probability low. But just what does proper project management entail? Let us look at a typical development of a geothermal power plant project to demonstrate how the proper application of project management tools is crucial to the success of any project, energy-related or otherwise. Project development is all about developing a project by taking away risks, often called “de-risking” the project. A project has, as expected, many risks. One has to be astute in identifying these risks and finding creative and economically efficient ways to mitigate these risks. The lack of social acceptance of the community of a project is always a factor to consider when developing any power plant project. The local community, of course, often fears displacement when renewable energy developers come into their area. In my experience, one can overcome this risk by starting early and establishing ties and relationships to the community at least two years before starting with the project execution. Project developers should make their presence felt in the area by living in the community, hiring local personnel, breaking bread with the leaders and the community, and conducting information and educational campaigns down to the purok level. How does one measure acceptance by the community? The Environmental Clearance Certificate (ECC) issued by the DENR is an objective way of saying that the community has accepted our project. Aside from the issuance of the ECC, we can also measure social acceptance by looking at the degree of receptivity of local officials to our ideas. Addressing market risk in the Philippine power sector means either taking a WESM risk or a long-term bilateral power sales agreement (PSA). No one takes a WESM price risk, so generally, a long-term PSA is the route. The challenge for a geothermal project, however, is when one considers exploration or resource risks, the upfront cash is so high. And unless there is a mechanism to mitigate this risk, it will be almost impossible to finance even with private equity. It is essential that a geothermal development company enters into a power supply agreement (PSA) before starting with the drilling. Otherwise, developers will risk spending tens of millions of dollars without an assurance that we have a market to sell the geothermal power to after finding the resource. Unlike commodities like oil and minerals, geothermal energy is a location-specific resource. As soon as a PSA is obtained and approved by the appropriate government authorities like the Energy Regulatory Commission, the project can now proceed with addressing two risks: resource and operational risks. Resource risk is the single biggest risk in project development. Resource risk, in this case, is the risk that the resource for power generation that the table or surface studies showed as either present or absent or is at a level insufficient for economic operation. The problem with this risk is that there is no other way to mitigate it except to actually drill. The cost of drilling is what sets geothermal resource risk apart from all other forms of renewable energy. Keep in mind that exploration can cost 40 to 60 percent of the total project cost. So, we need to drill first before we can say the resource risk has been managed. Operations risk for the geothermal project is simply the ability of the company to manage the steam field resource in a sustainable manner. We need to ensure that the steam field can provide the power we need for the next 25 years. So, how do we go about in mitigating these two risks? Ensuring that our well targeting activities are based on science encompasses many things. This means hiring the right people for the job and matching each function according to a person’s skill. Matching function with capabilities in project management is extremely crucial. After all, project management is all about ability to lead, to coach, and to anticipate and manage risks. Thus, the selection of the right people for the job is very important. Personally, I choose consultants who are smart and are able to display their knowledge and skills through a simple explanation of his or scope of work and expertise. Of course, I like being surrounded by people who are fun to work with. The geothermal project has to have the scientists to plan our resource, a technician to oversee the drilling plan, a manager to oversee the finances and administration of contracts, and a social scientist to handle environmental clearances and the most important person: the community relations person who will handle the Corporate Social Responsibility (CSR) function. In my project structure, I can delegate most functions, but the CSR function is one that is close to my heart. In fact any power project should be a social project first. This sets the priorities straight. With such complex relationships between functions and team members, teamwork will be hard to achieve. And here lies the importance of proper collaboration including open and constant communication within the organization. Just how crucial is proper organization in mitigating resource and operation risk? In drilling a well, we need to ensure the perfect execution: we need to find the perfect spot and drill at the perfect speed. Perfect execution is critical since a less perfect one will cost us tons of money. This is the reason why we need to have open and timely communication. Decisions are made every single day like whether to continue drilling at the spot or not. This is why we have meetings and arm ourselves with communication tools. At the beginning of the project, we hold a major meeting, a kick-off meeting that will include all parties– internal and external–to simulate the execution of the project. I require that we have our face-to-face meetings weekly and monthly. This is our “townhall meeting” to introduce new staff or just to socialize and discuss project concerns. Technology plays a big role in any organization. I prefer that our group make use of technology-based in our communication and collaboration. My team and I use collaborative apps like Podio, GroupMe and online conference tools like GotoMeeting and Skype. All managers have internet access on their smartphones. 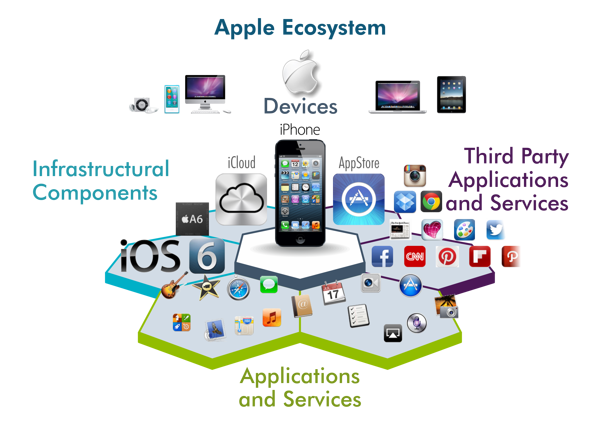 Our organization relies heavily on Apple Ecosystem. Personally, I try to use tools that are intuitive and almost idiot-proof. That is why our companies are Mac-centric. In other words, we have an Apple ecosystem. Apps in the Mac OS tend to be intuitive and integrative. Our people no longer have to be tethered to an LCD projector system, for example, as we use “AirPlay”. We also leverage on the Merlin Project Management Software- the equivalent of Microsoft Project in the Mac OS system, “Moneyworks” for financial management and Daylite 5.0 to ensure collaboration is further strengthened. I welcome disagreements in the organization. In fact, the danger of having teams that are not properly managed is “group thinking.” This happens when true dissenters do not speak up just so “harmony” within the group can be achieved. This is bad. We should always encourage disagreements without being disagreeable. Obviously, I give a lot of weight to experts’ opinions, but at the same time encourage consensus building among the experts. Once a consensus is reached, then that’s the decision. Otherwise, I toss coins.